A bruisingly honest memoir of addiction and recovery from one of the greatest pitchers of all time. 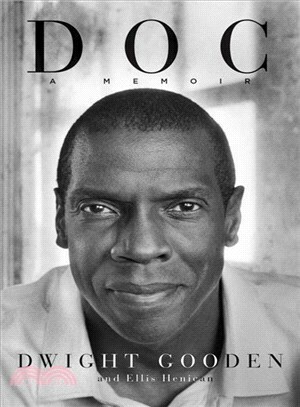 With fresh and sober eyes, Dwight Gooden shares the most intimate moments of his successes and failures, from endless self-destructive drug binges to three World Series rings. Known for his triumphs on the baseball field and his excesses off of it, Gooden was a soft-spoken, dominating wunderkind who tallied a mountain of strikeouts while leading the 1986 bad-boy New York Mets to a World Series win. Even at that pinnacle, Gooden had already succumbed to a cocaine addiction that would short-circuit his career and personal life. Gooden’s story transcends baseball, from his childhood in Tampa raised by a father who was an alcoholic womanizer, to the recent experience of overcoming his own demons on the show Celebrity Rehab. Along the way, Gooden offers a unique perspective on Yankees owner and stalwart supporter George Steinbrenner and some of the greatest baseball players of all time. Doc is the definitive look at a life equal parts inspiring and heartbreaking.